Falconry racing is one of the most exclusive sports in the United Arab Emirates, with top birds of prey going for more than 200,000 euros. The sport is said to be a legacy of the country’s harsh and unforgiving desert environment, harking back to a time when every resource had to be utilised for survival. Falcons were the ultimate hunting tool. Despite the UAE becoming super-rich, old ways persist: this month the country hosted the latest edition of a popular falconry contest. 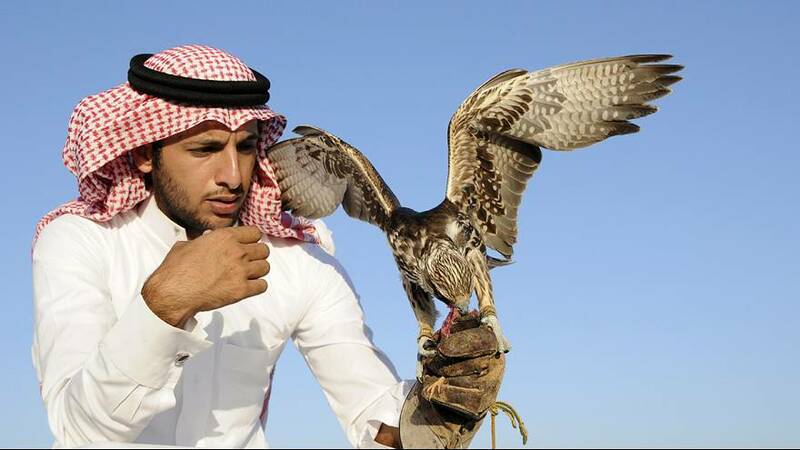 The ‘Fazza Championship for Falconry – Tilwah’, which kicked off on January 2, sees participants compete across a range of categories. Contestants are even separated according to social status, a pointer to the exclusivity of the competition. The contest includes falcon races, which sees the birds of prey timed over a distance of 400 metres, with the best clocking around 20 seconds. They are enticed using bait such as pigeon wings, chicken or turkey. The falcons undergo months of training to prepare for the competition, according to Khalifa bin Mirjen, one of the sheiks taking part in this year’s event. “We release the falcon, so the falcon can do the flying, we try to put some energy and make his muscles strong to work good at the race,” Mr bin Mirjen told euronews. “It’s like training a football team, you know ? It’s about two months until the falcon is really trained. We train them sometimes twice a day, but usually it’s once a day. This year’s edition, which is widely broadcast by regional television, has seen more than 150 entries from Gulf countries. Last year’s overall winners each received 125,000 euros and a Bentley. The falconry contest is part of a wider championship that involves other traditional activities such as hunting and shooting. The compeition is organised by the Hamdan bin Mohammed Heritage Centre.